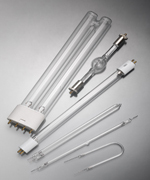 BOSSTAR Technology Co., Ltd. Is specializing on ultraviolet light such as UV Lamp, UV curing system, UV-CCFL, UV air sterilizing lamp; home lighting such as T8CCFL Lighting, T5 Lamp, Spiral Bulb, and many kinds of special lamps, such as explosion-proof , medical treatment, and non-UV lamps, Plant Growing light Lamps; towards development and production in consumed of electronic products application. Since BOSSTAR established and launched in 1999, we have always been specialized in lighter,thinner, shorter and smaller, low radiation light sources, and developing high technology light products to green the environment; then, promoting "Energy Saving and Carbon Reduction", combining three target of development concept in energy saving,eco-friendly and naturally to get the global trend. Now we are currently focusing on ultraviolet light and other special light to extend our global market. To build up long-term co-operative partner, who based on cooperative partners, trusting each other by means of honest and reliable. To bring up advantage of product and make it competitive by means of forth-new ideas. To assist customer's development and exceed their expectation by means of excellence. To provide continuous services by professional techniques and challenging the rapidly changeful market. Taiwan joins WTO since 2002, Taiwan officially faces more liberalized and the non- barrier environment development global economics and trade environment. Under facing the industrial competition, BOSSTAR take new strategy and new thought to update the light products without losing the major unique characteristics. Most importantly, Bosstar can be developed by customer viewpoint and the demands, provides most ideally product for user that causes BOSSTAR to leading to the same industry with specialty, innovating and strategy of market. To provide better service, if customers have OEM assembly or the requirements of semi-finished products, we also welcome customer to advice us; and we can also cooperate with the customer development related application products and sales services.